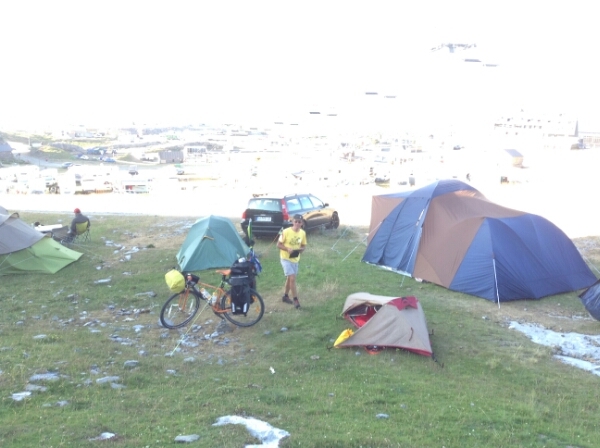 You are here: Home / Blog / Eugene rides Europe / Race day to the first mountain finish. Race day to the first mountain finish. I only got out of bed at 7.30 which is a record on tour. I had a leisurely breakfast and brewed a pot of my Costa Rican coffee. Then had a bath in a basin at the local ski resort bathrooms. I had no need to rush because we were at the finish for the day. I then washed some clothes and attended to personal hygiene. Soon I was ready to join the already growing crowds at the finish. 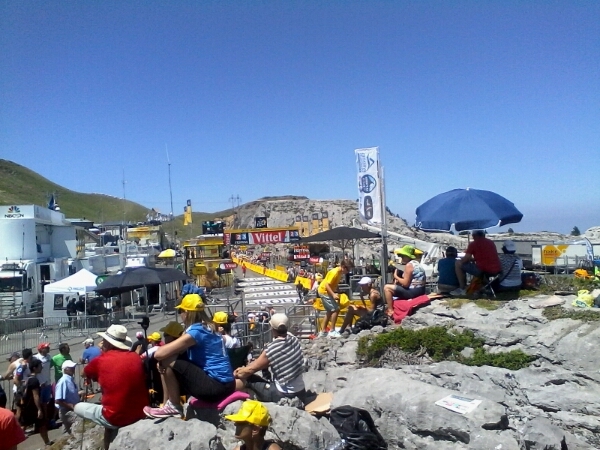 Again I was lucky to get a fine spot directly opposite the podium on top of a rocky mound. As the day wore on the rock got more crowded. 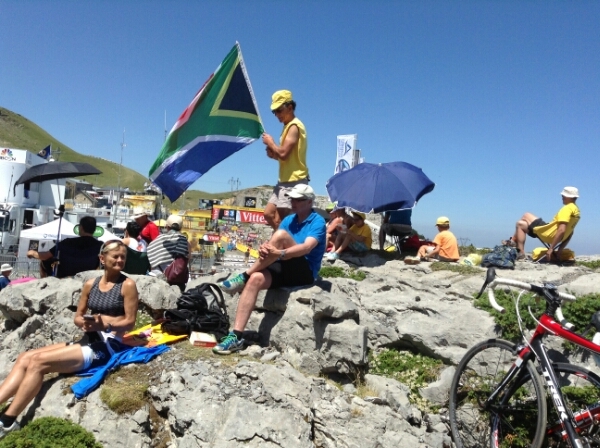 I also met two Norwegian MTN Quebeka supporters that had lived and raced in SA. Sissel Vien won the Argus in her age category twice as well as SA Champs if I remember correctly. She also won that World cup TT title in Pietermaritzburg and Pauline Cound won the road race. From our vantage point we could also see the big screen so we watched the progress of the race. 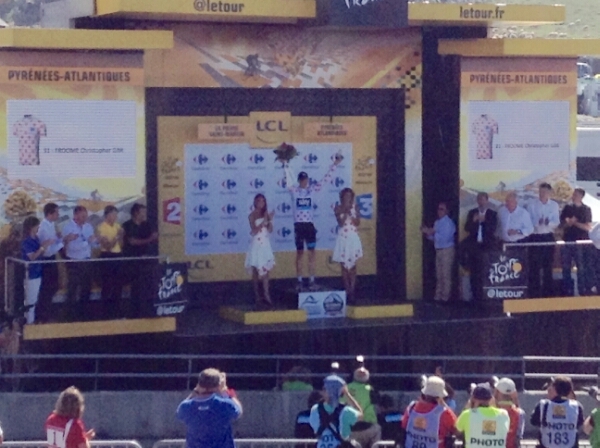 What a great finish with Froome doing it in style. I was so excited that I did not even take any photos but luckily Suz kept her head but lost her hearing!! Missed him in the yellow jersey but got him taking polka dot jersey from our MTN Quebeka rider Daniel Tekleheimot. 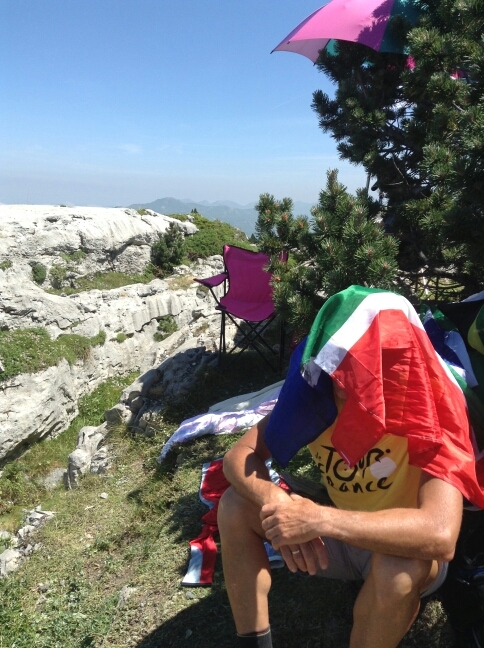 I am sad for Daniel but very proud that he relinquished the jersey to such a great ride from Froome. After all not bad losing it to the leader of the tour!!! 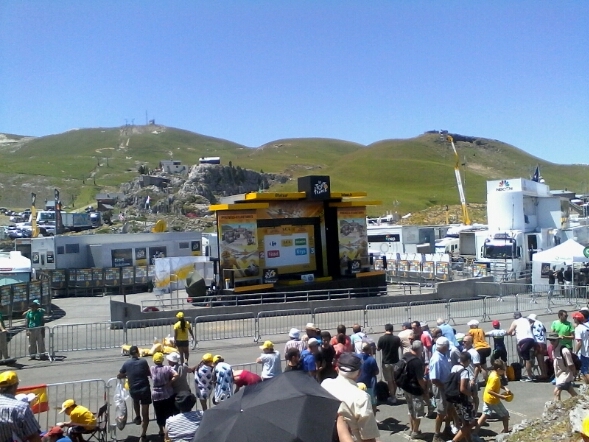 Well done MTN Quebeka riders all in the top 25 or thereabout I think!!! https://i1.wp.com/www.cycleworx.co.za/wp-content/uploads/2015/07/wpid-wp-1436963155229.jpeg?fit=600%2C448&ssl=1 448 600 Eugene Roux https://www.cycleworx.co.za/wp-content/uploads/2018/10/sycleworx_logo_name-340x82.png Eugene Roux2015-07-15 12:49:292015-07-15 12:49:29Race day to the first mountain finish.